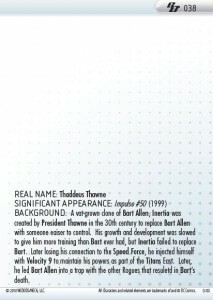 The Brave and The Bold Update! 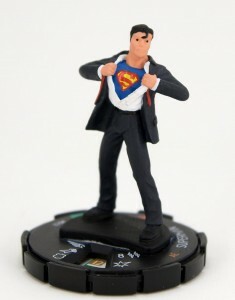 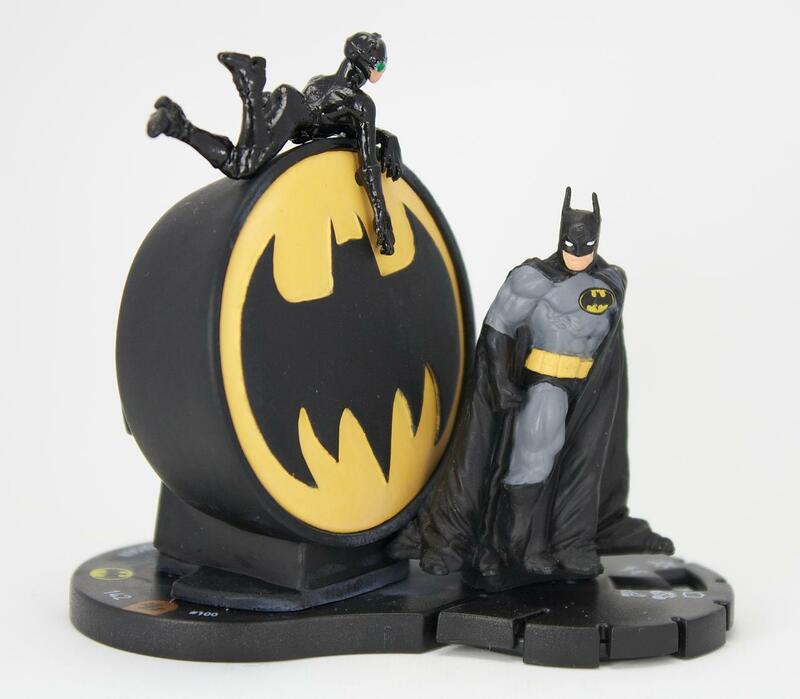 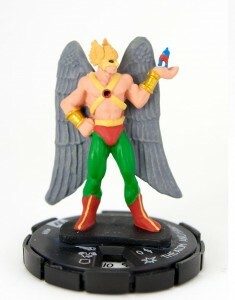 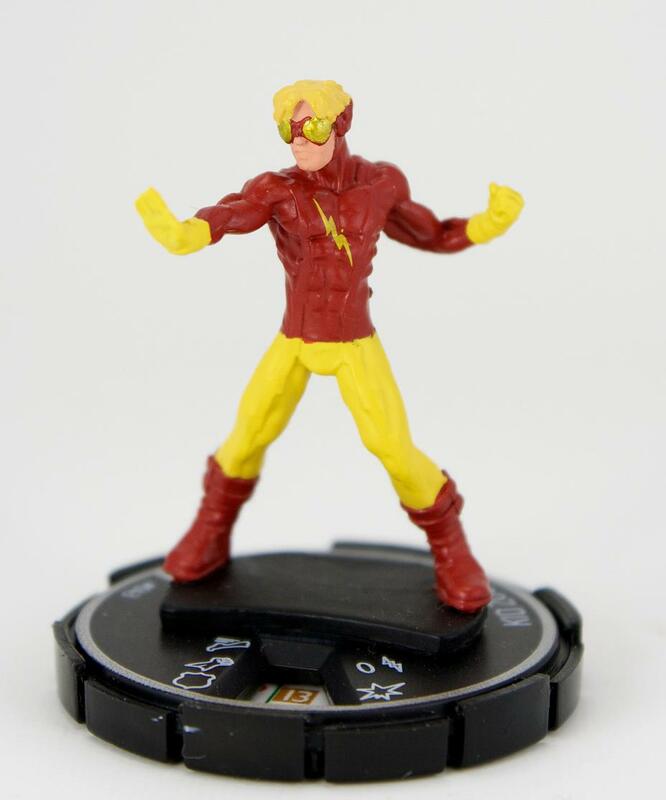 I think it’s time for a montage…and two new DC HeroClix The Brave and The Bold previews! 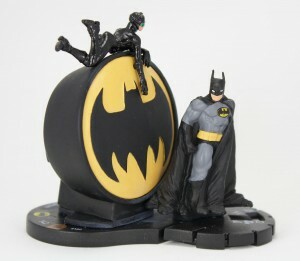 Now, I know you’ve been keeping track of The Brave and The Bold figures which have been confirmed as being in the set, so I know that you’re eagerly awaiting new images of: Bruce Wayne / Batman Alter Ego, The Flash and Green Lantern, Batman and Green Arrow and Poison Ivy and Harley Quinn. When I get production figures, I’ll photograph them and put them up on this blog. 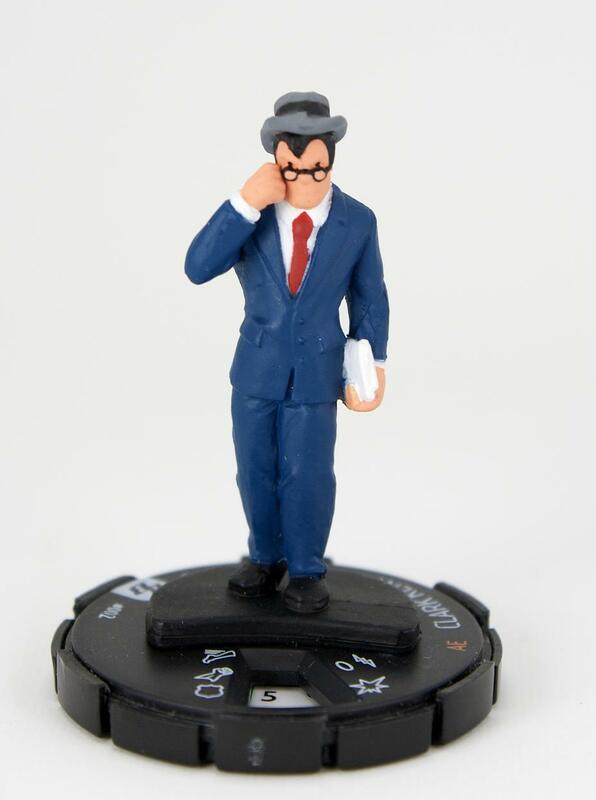 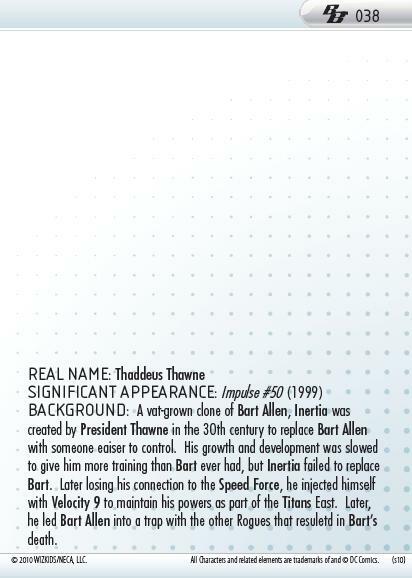 But two weeks ago I hinted at a new TB&TB figure…he was hidden in a bunch of Clix on my desk. 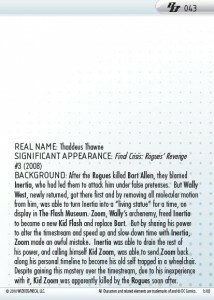 Did you find him? 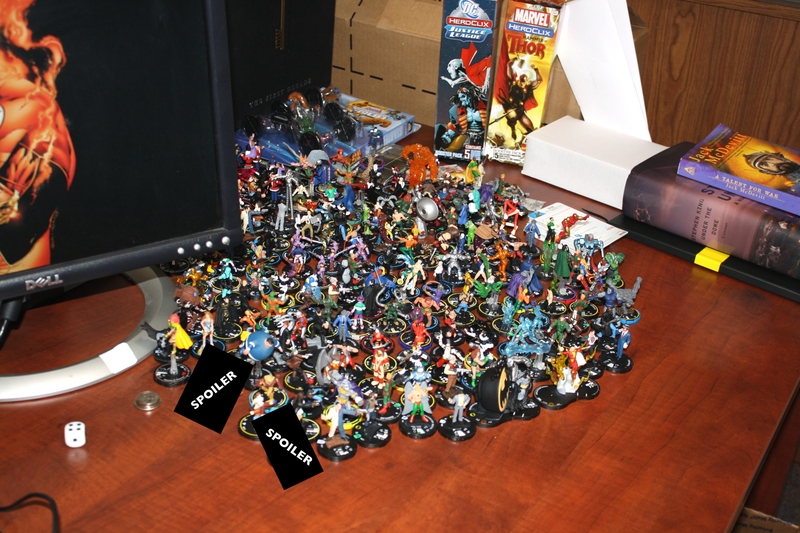 Look closer! The mystery figure is: KID ZOOM. 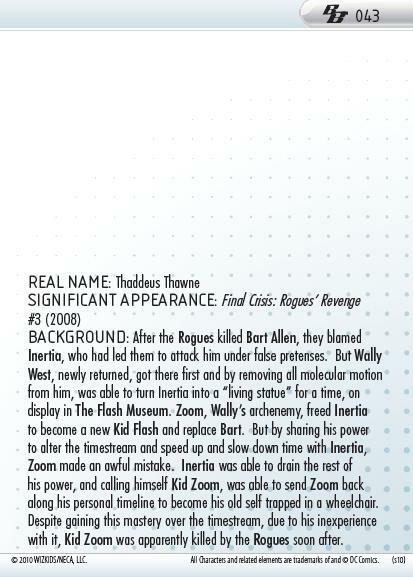 Kid Zoom spent most of his criminal career as the villain Inertia. 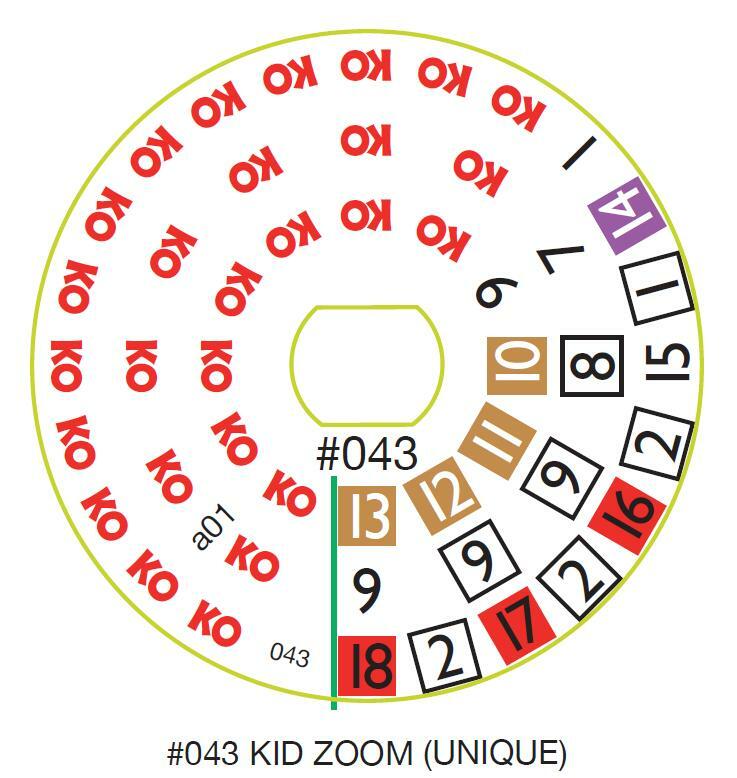 There’s something very interesting about the Kid Zoom and Inertia costumes…they are essentially the same costuming just in different colors. 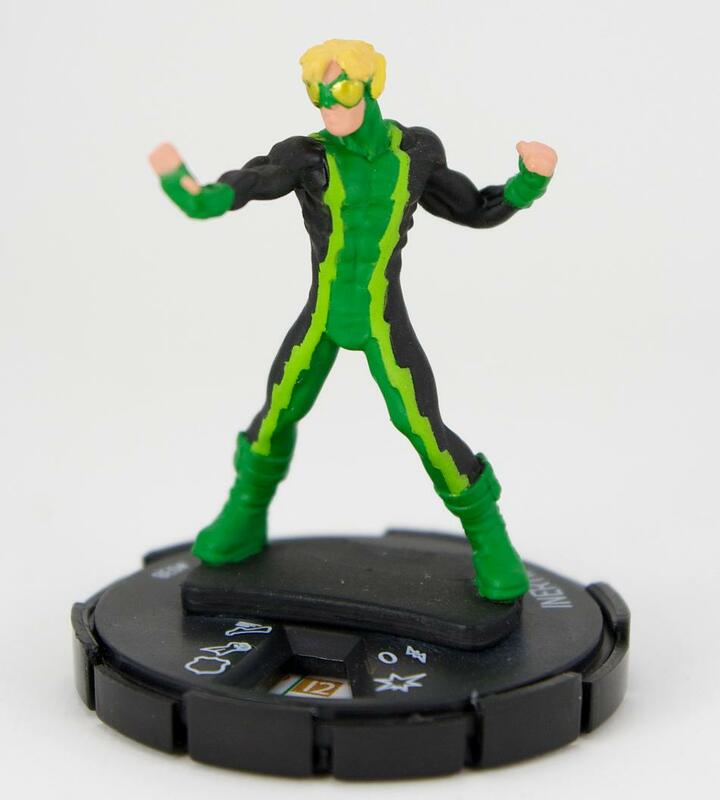 This happens occasionally in comics, and we are occasionally going to take advantage of the opportunity to add more characters into HeroClix. 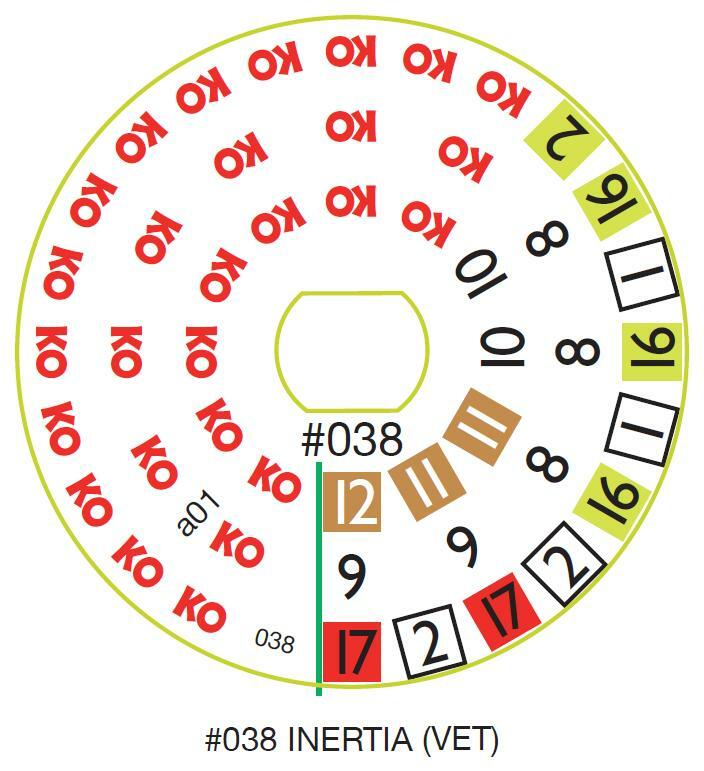 This means that The Brave and The Bold also includes Inertia! 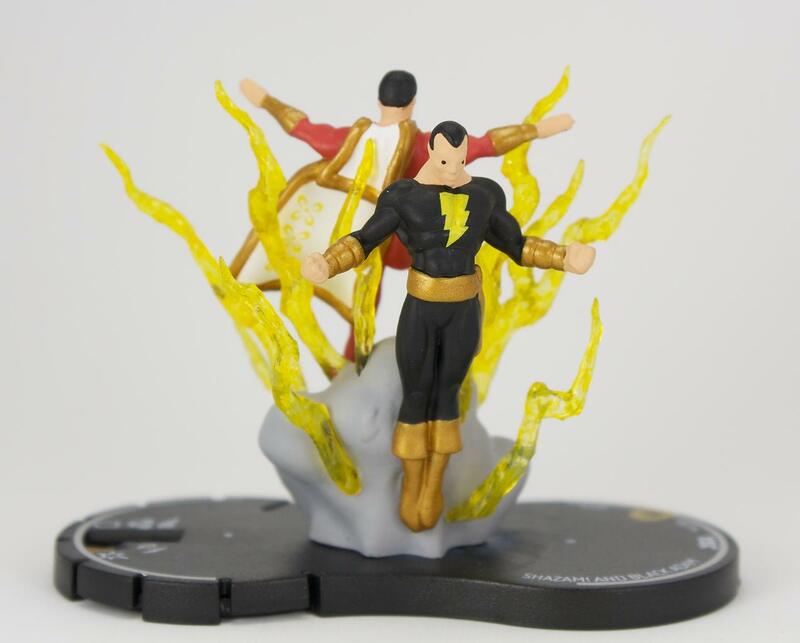 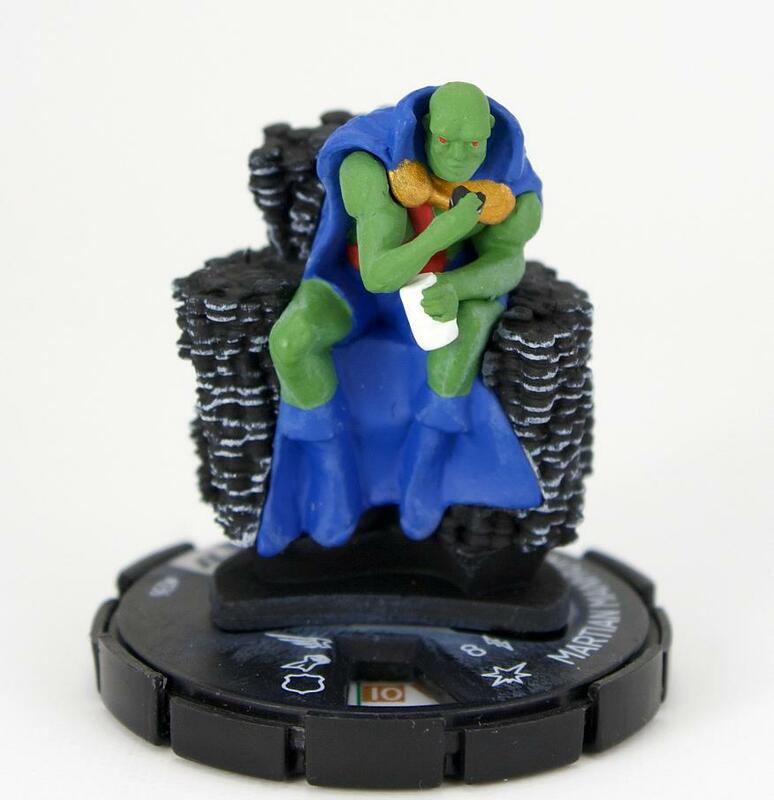 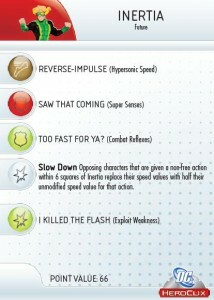 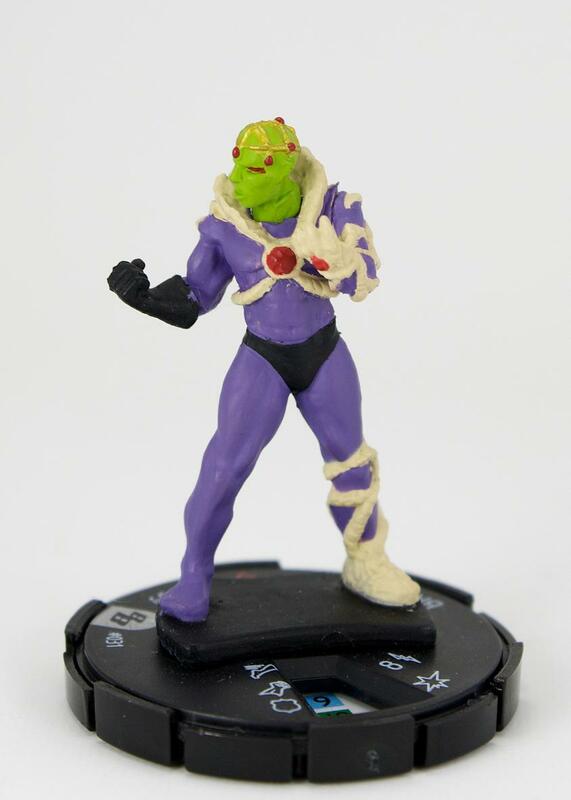 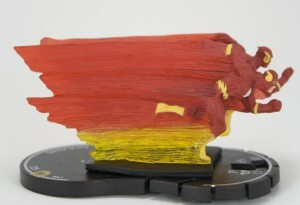 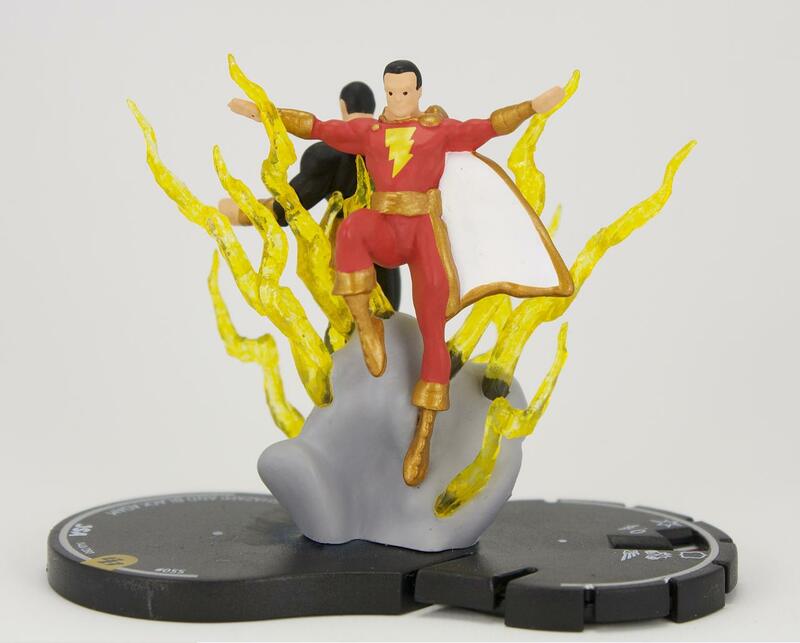 Also, be sure to check out the preview of The Flash from the DC HeroClix The Brave and the Bold Starter Game appearing right now on www.icv2.com!